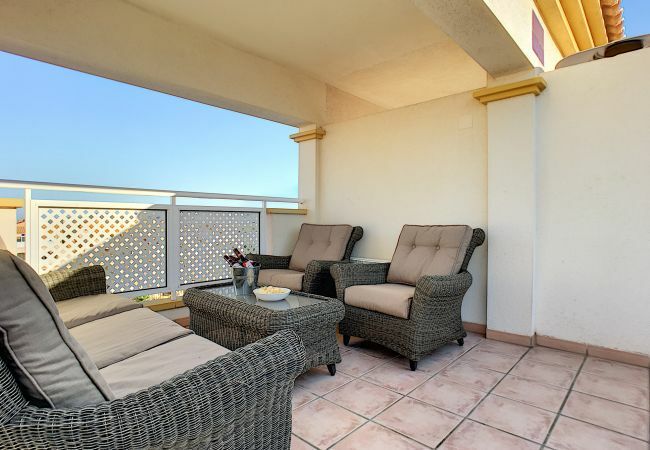 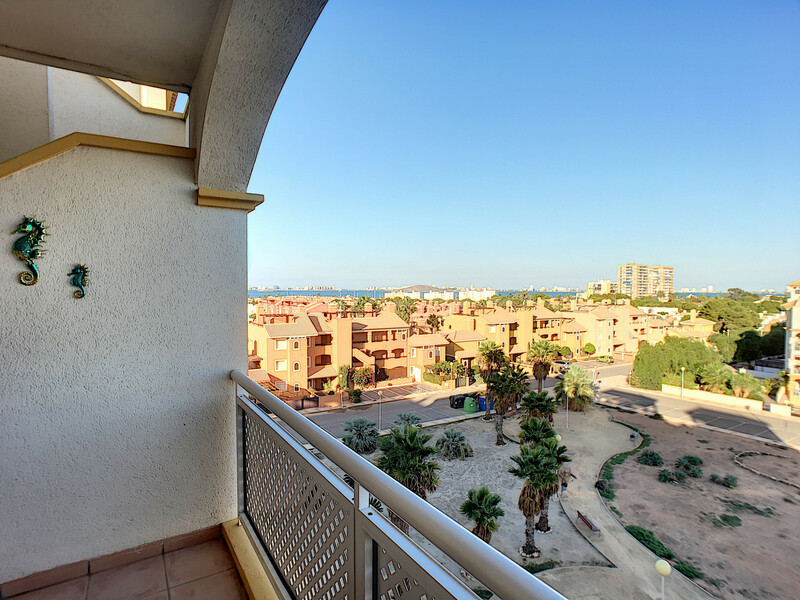 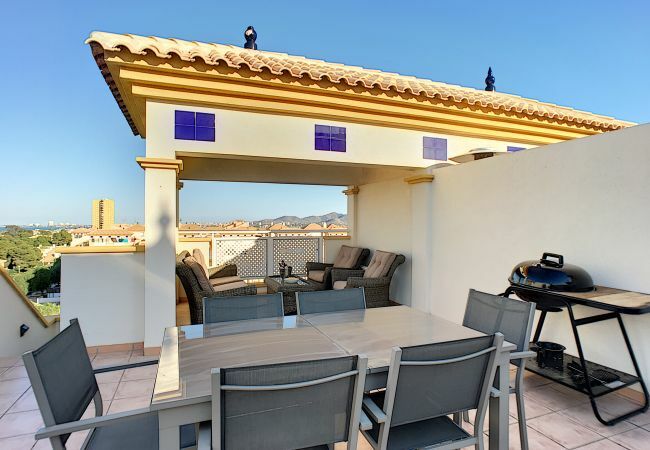 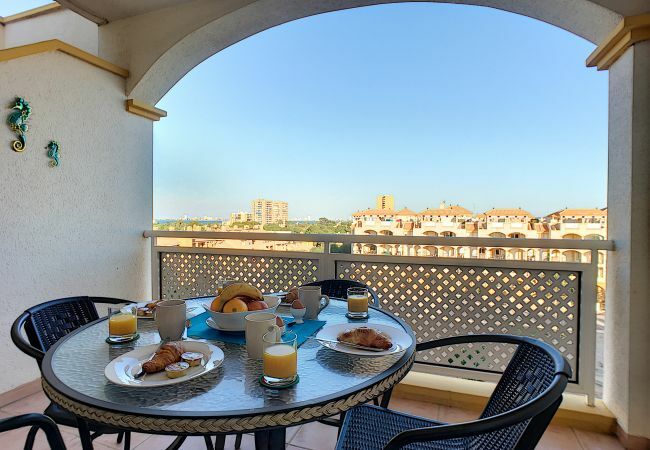 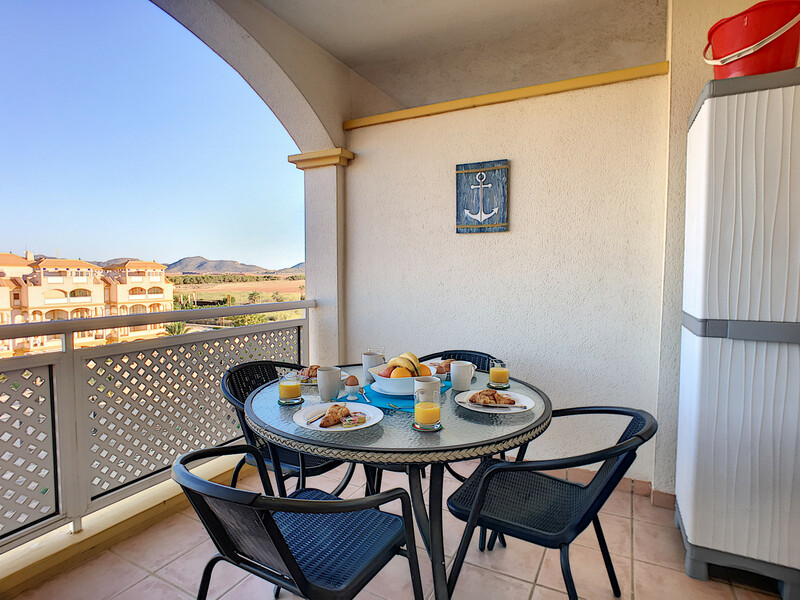 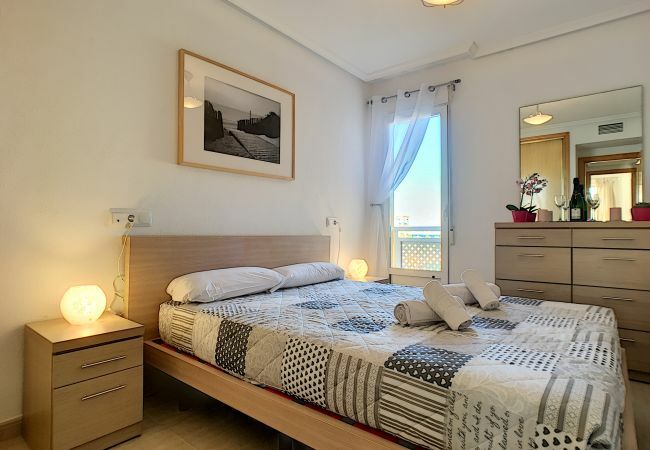 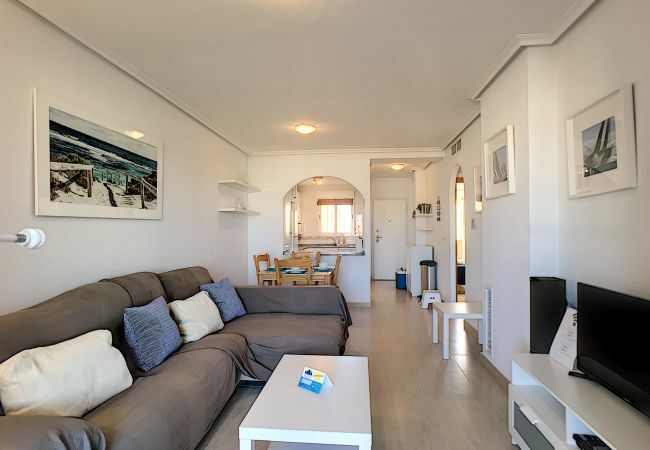 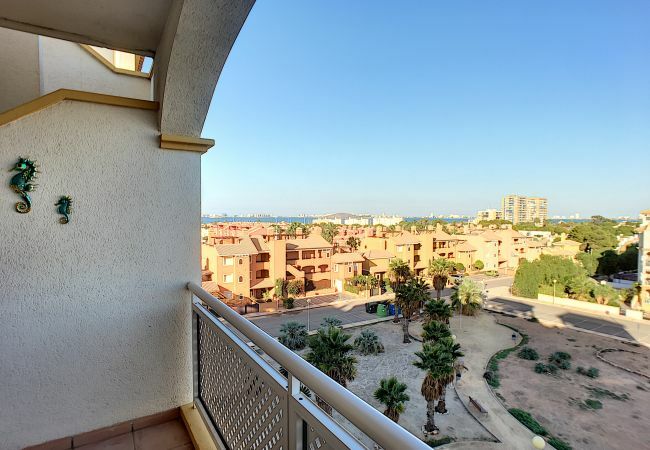 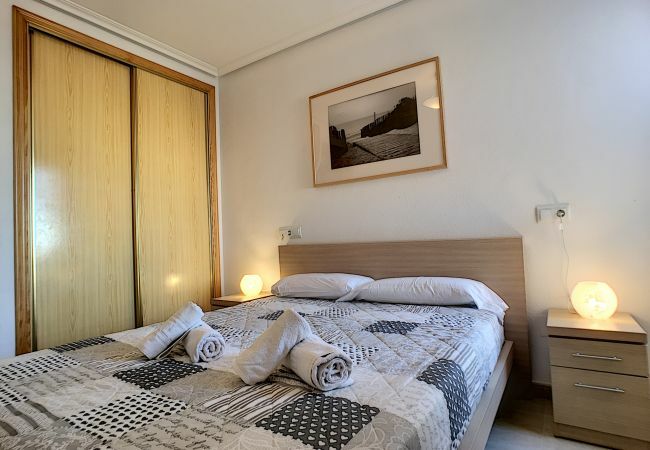 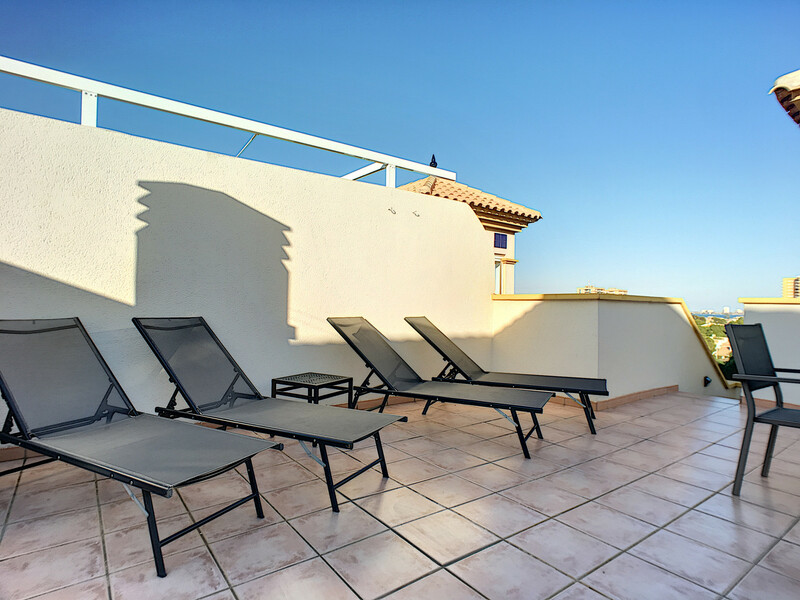 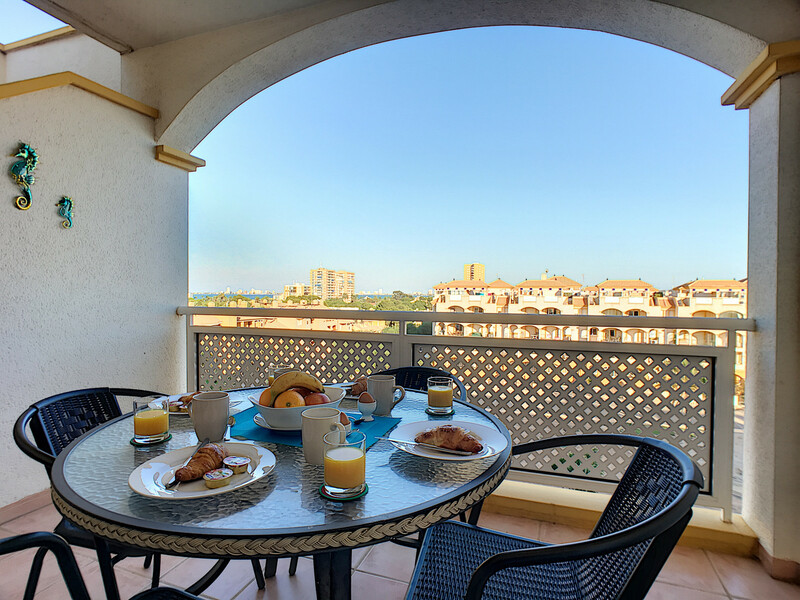 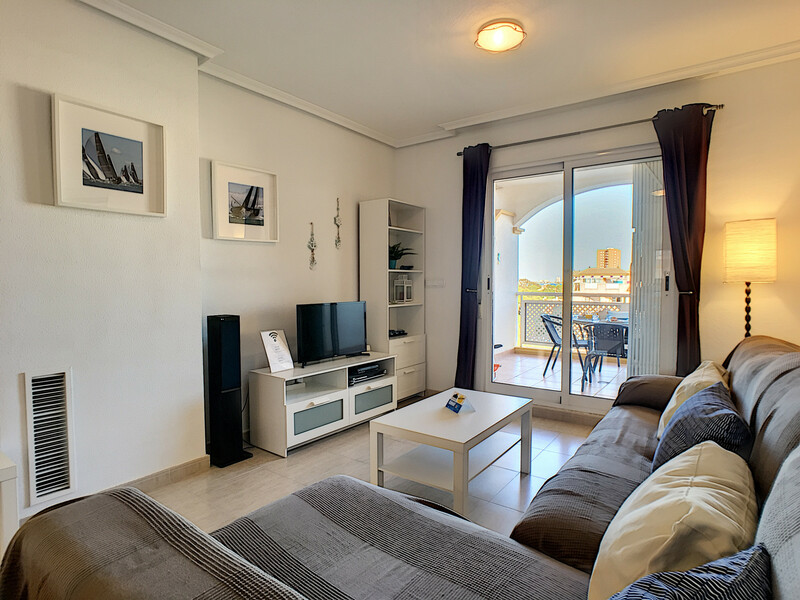 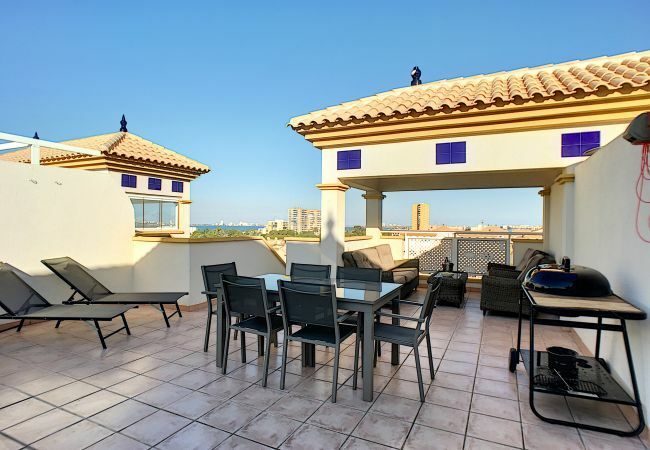 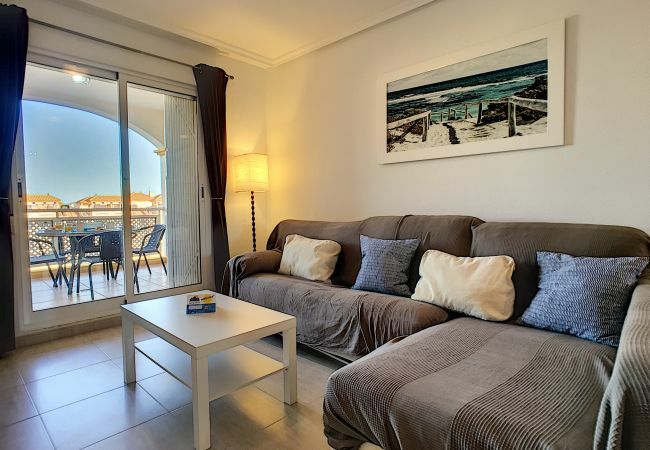 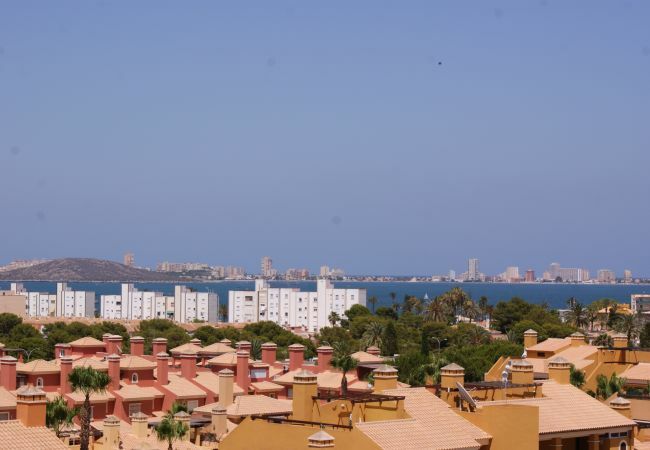 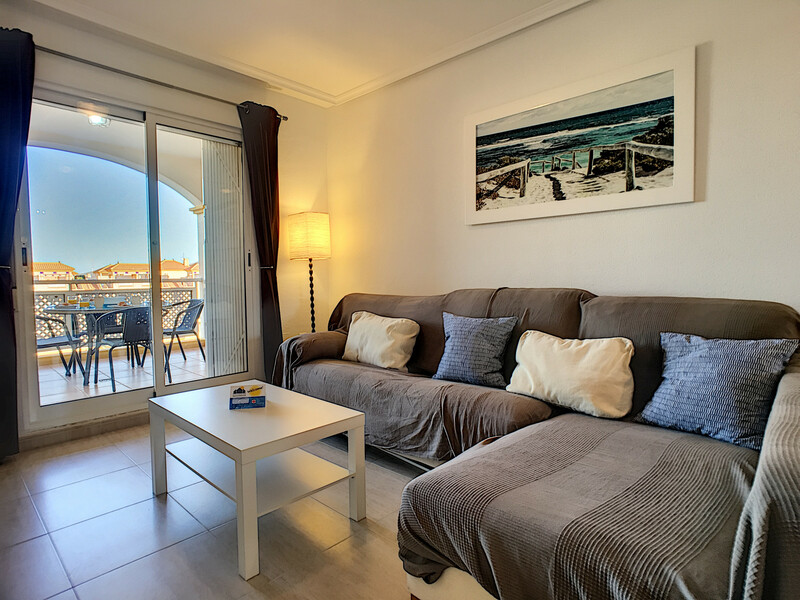 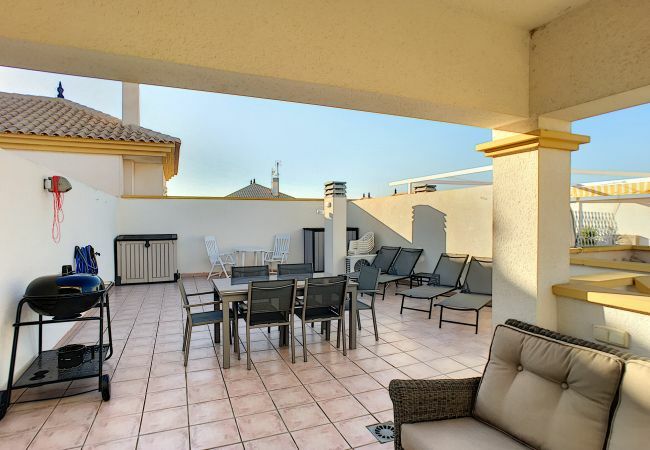 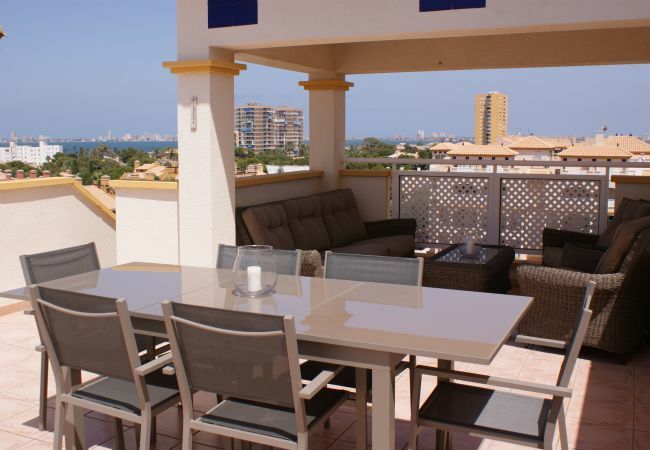 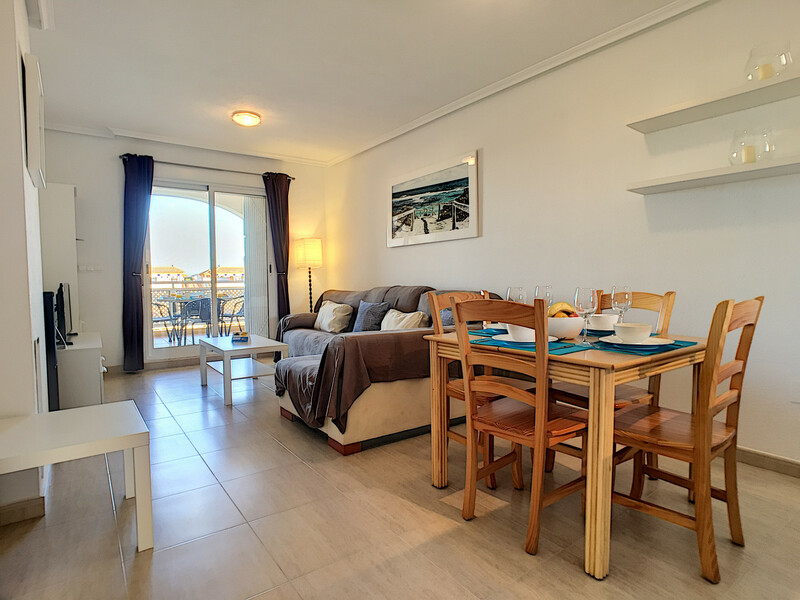 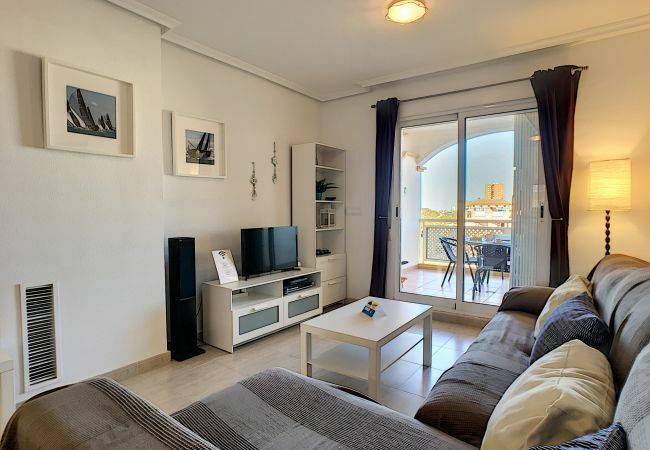 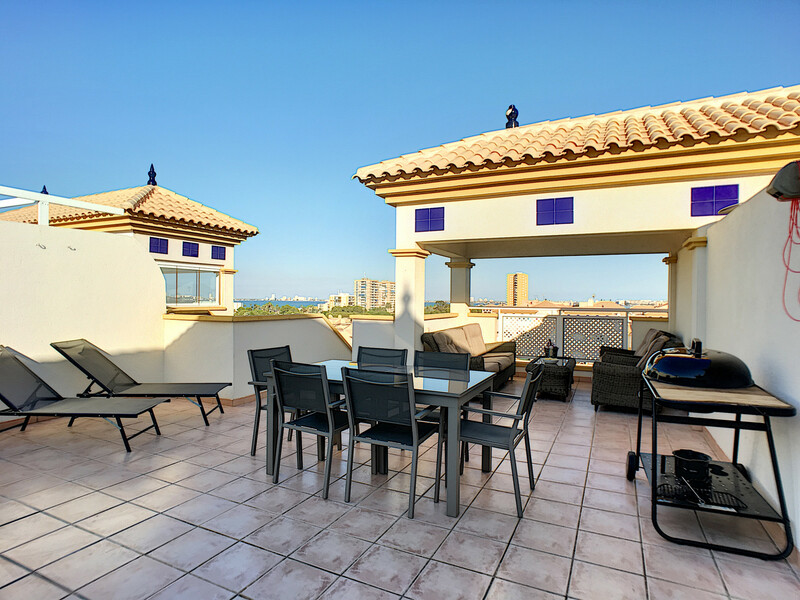 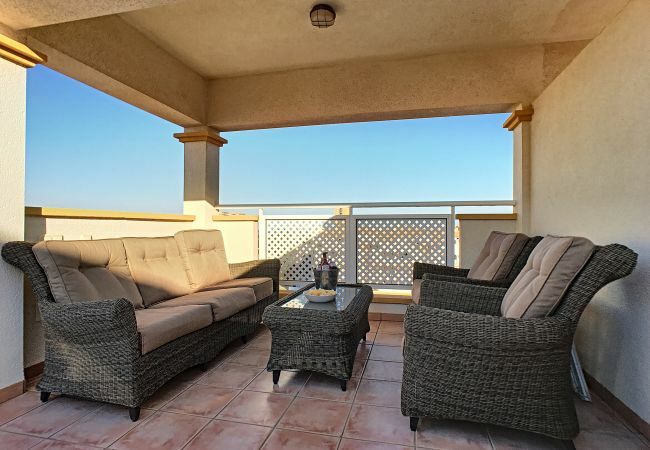 This penthouse apartment is located at the Ribera Beach complex in Mar de Cristal. The apartment consists of 2 bedrooms, bathroom, fully equipped kitchen, lounge/diner and balcony overlooking the park area. 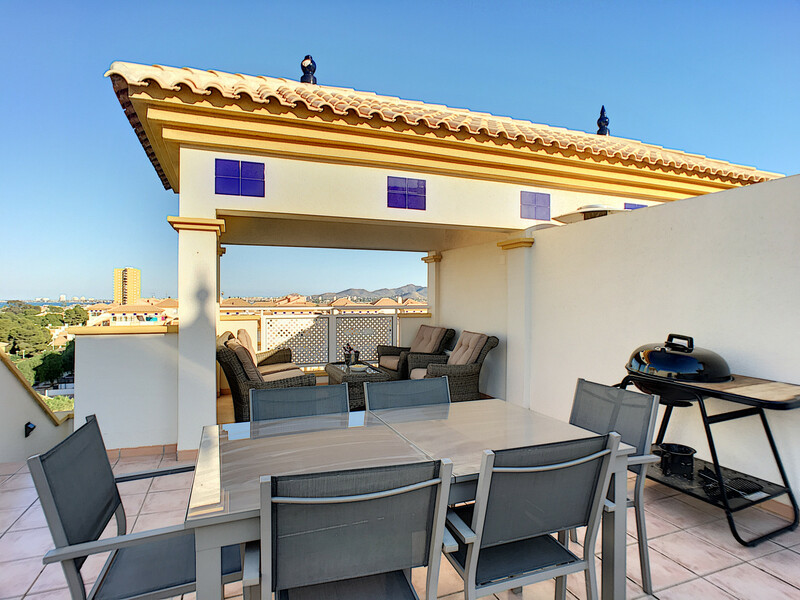 There are steps to a large private roof solarium which is ideal for relaxing and sunbathing with BBQ, chill out sofas and views of the sea. 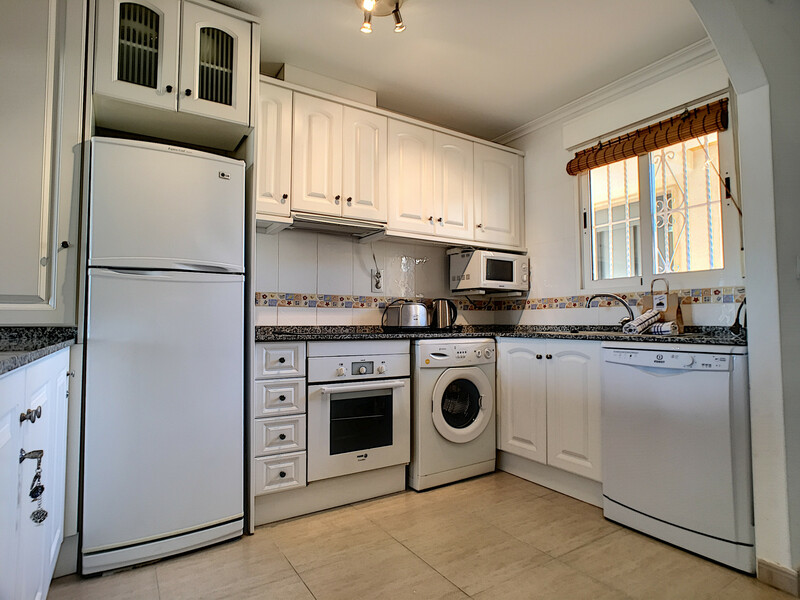 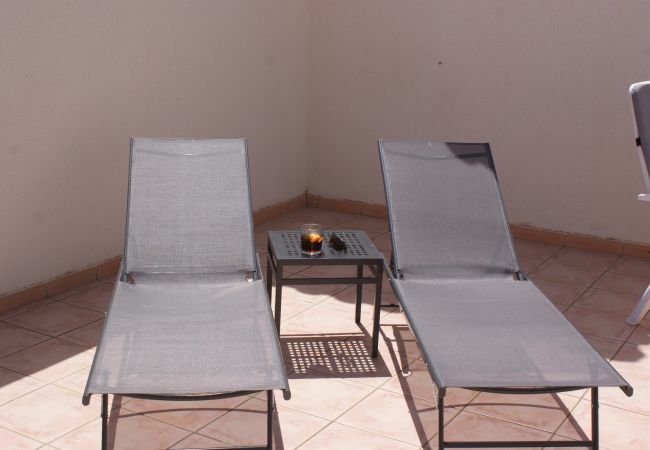 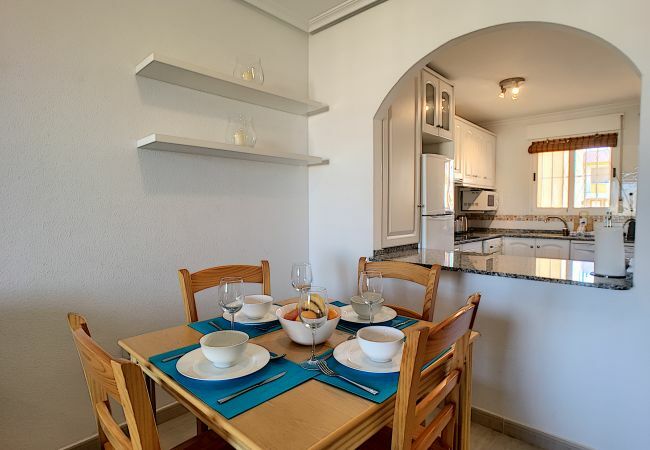 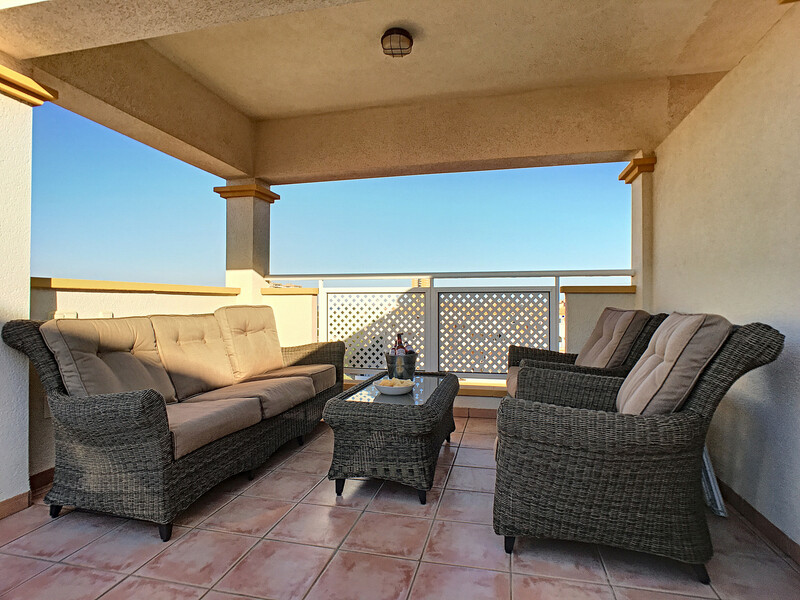 The property has English and Spanish TV channels as well as free Internet access. 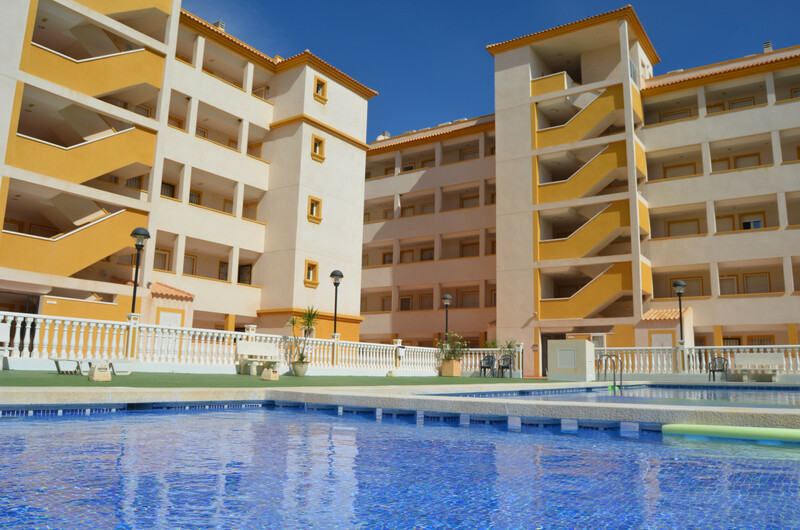 The complex has a communal pool and it is approximately 5 minutes walking distance from the beach. 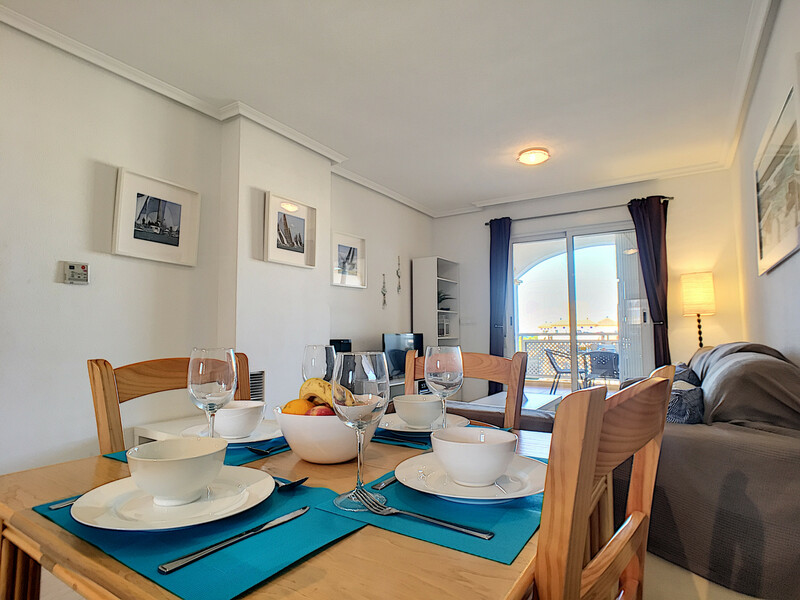 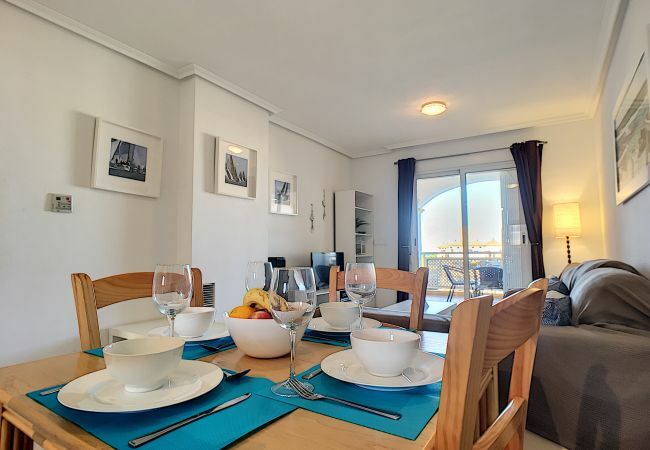 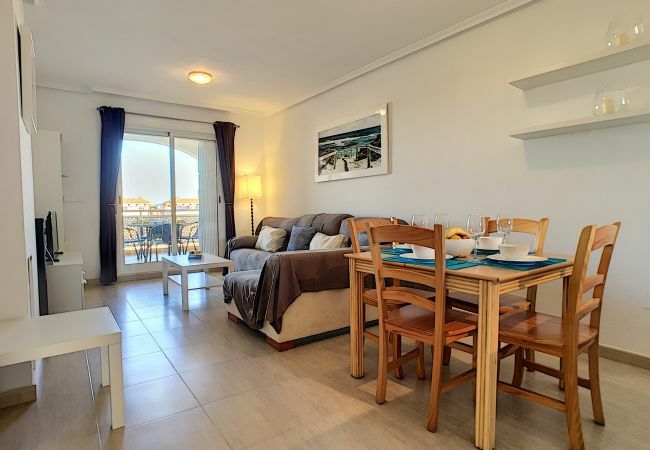 Mar de Cristal has a tennis centre, supermarket, sailing school and a selection of bars and restaurants all within walking distance of the apartment. The beaches have the warm and shallow waters of the Mar Menor great for various water activities and perfect for families. 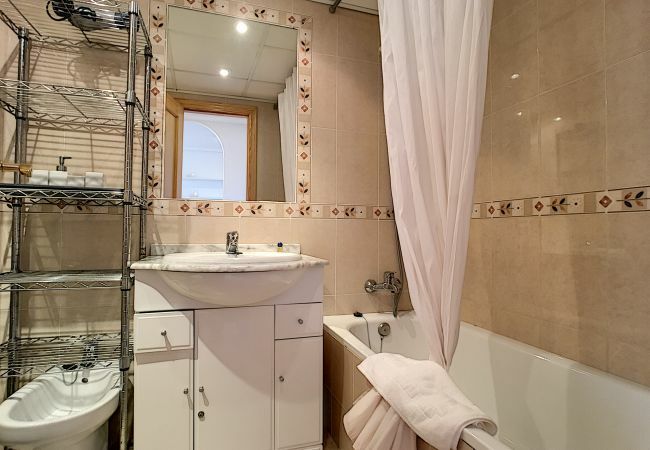 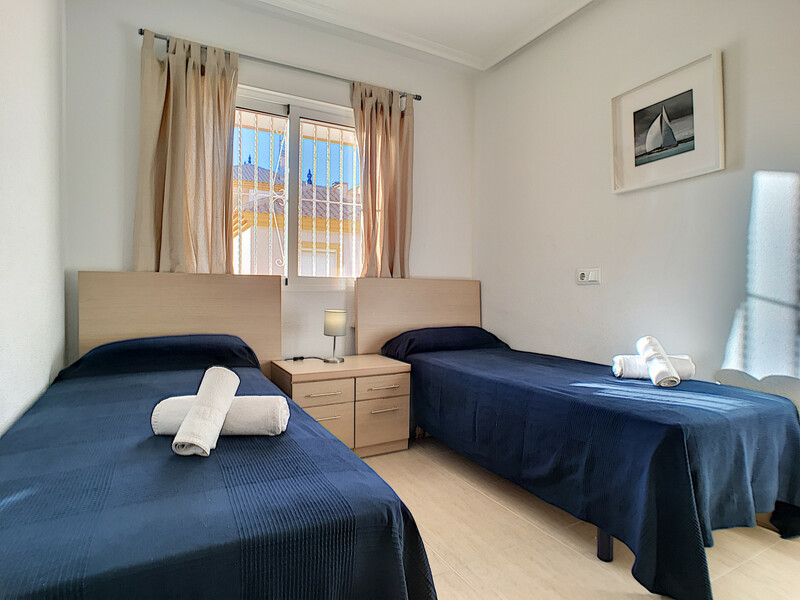 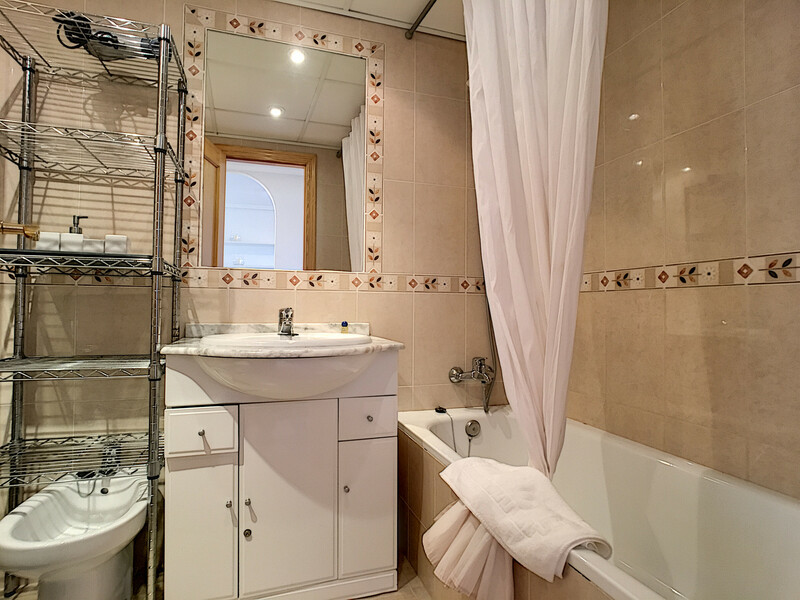 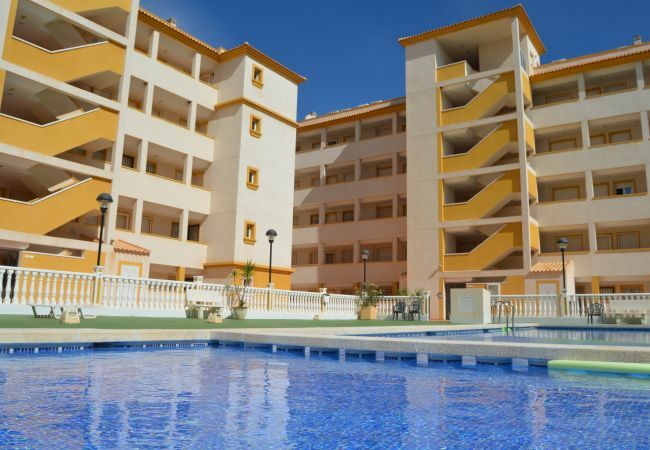 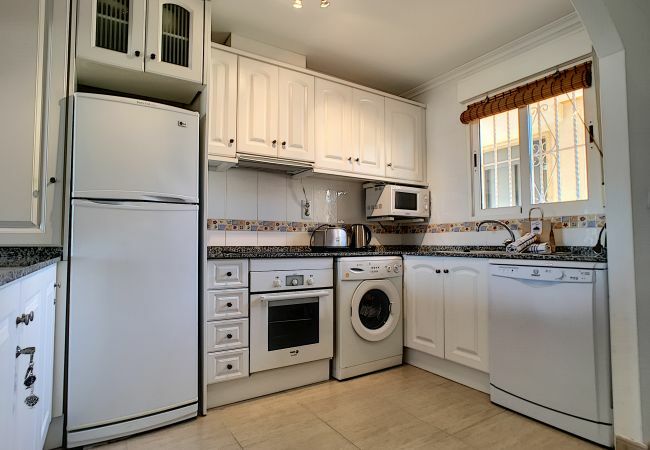 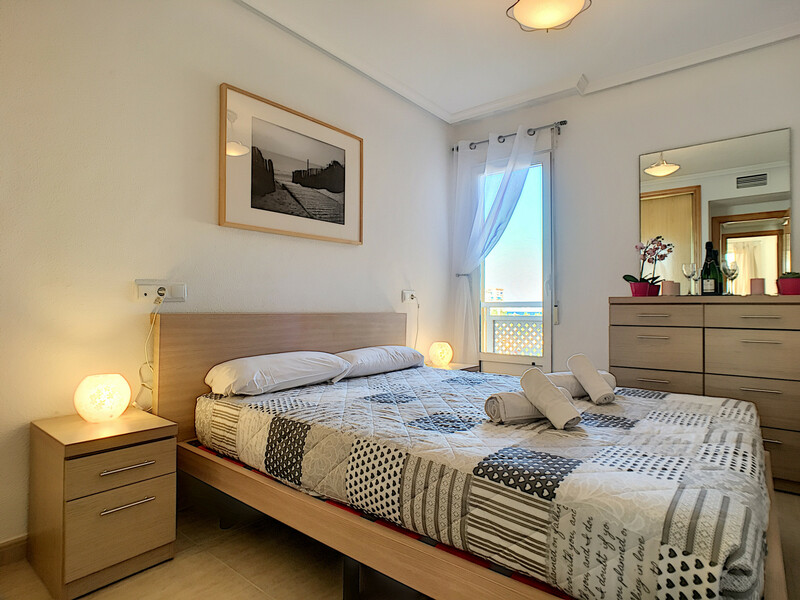 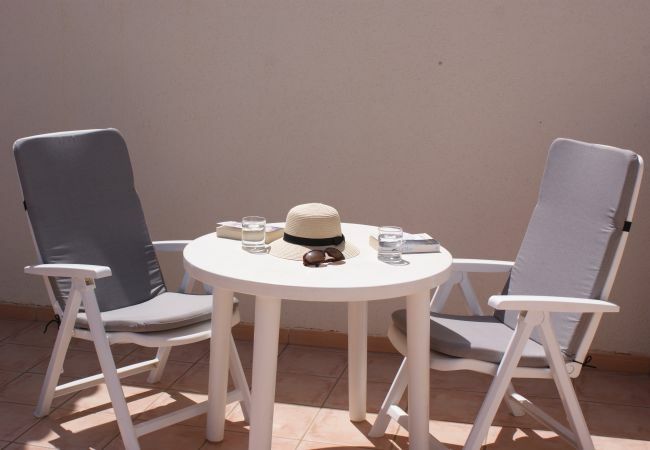 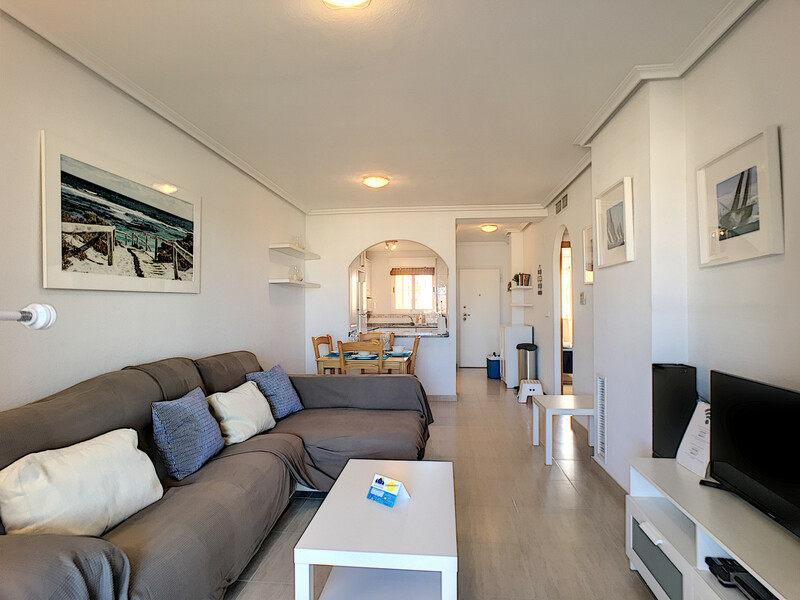 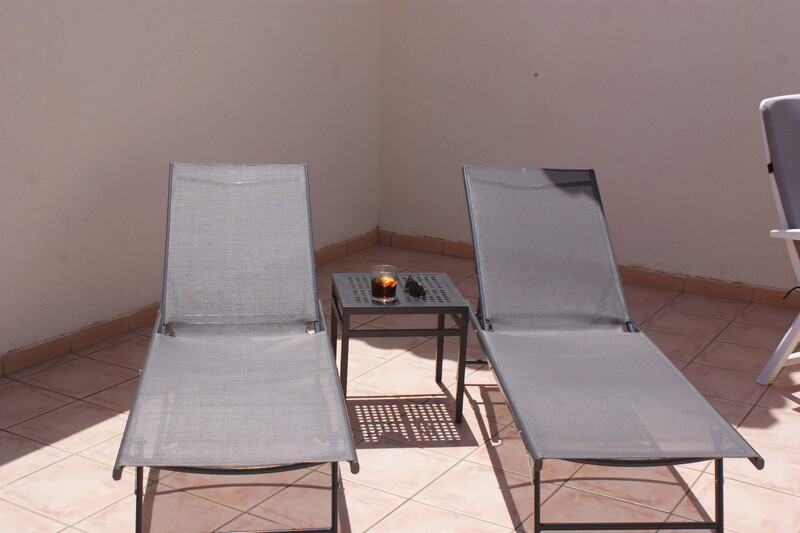 The accommodation is equipped with the following items: lift, terrace, iron, Internet (Wi-Fi), hair dryer, balcony, heating, air conditioning throughout the property, communal+children's swimming pool, 1 satellite TV (Languages: Spanish, English), radio channels and DVD. 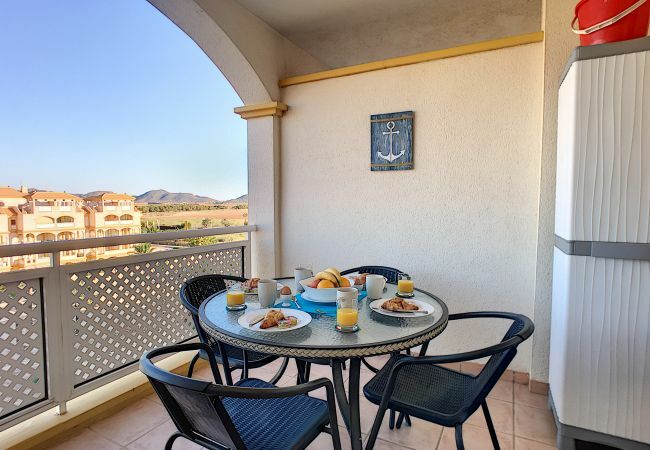 The property is located 700m from Isla Menores sand beach, 800m from Mar de Cristal sand beach, 800m from Supermercado Spar supermarket, 800m from Restaurante El Caldero , 1km from Restaurante Piccolo Mare , 1km from Cafe Arena , 3km from Los Belones town, 3km from Los Nietos train station, 6km from La Manga Club golf course, 7km from Mercadona supermarket, 7km from Aldi supermarket, 21km from Renfe Cartagena train station, 28km from San Javier airport, 45km from Corvera airport, 105km from Alicante airport. 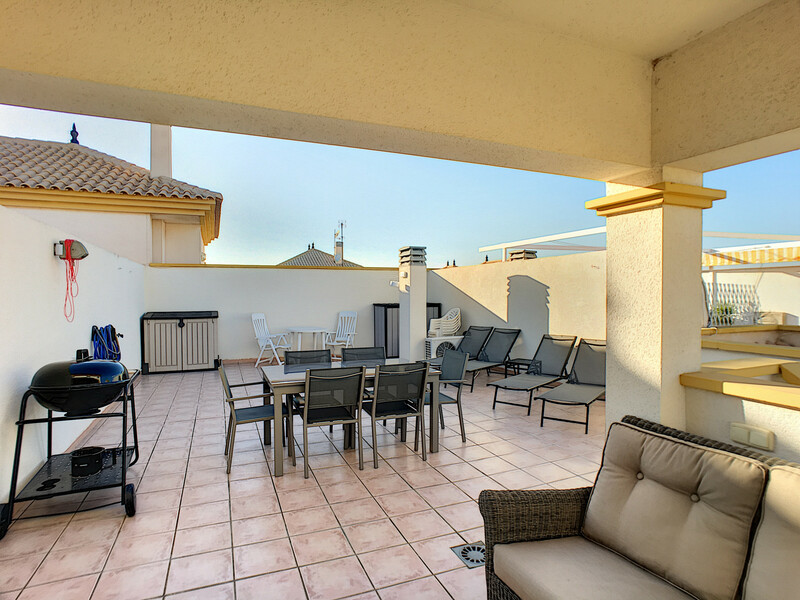 - 1 TV, TV Satellite (Languages: Spanish, English), Stereo, DVD, 4rd floor, lift, 40 m² terrace, barbecue, iron, safe, internet (Wi-Fi), hair dryer, balcony, 61 m² property, central heating, air conditioning throughout the house, communal+children's swimming pool ( opening date 1/1, closing date 31/12). 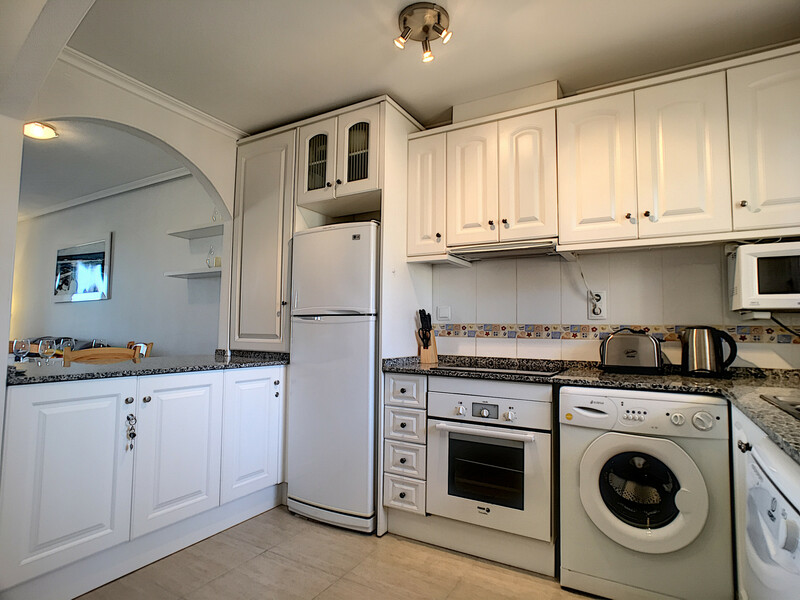 La casa está equipada de maravilla: completisimo menaje de cocina, equipación el ocio, juegos, música, wifi. 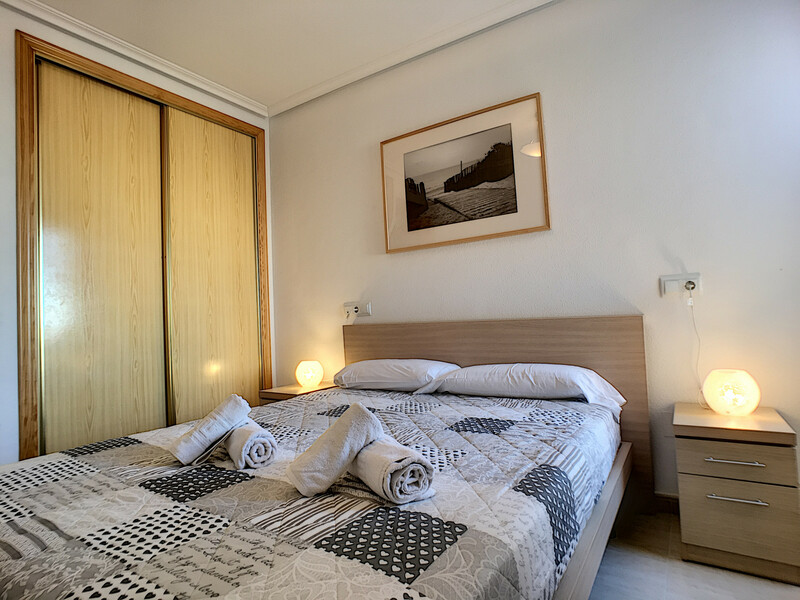 Espacios cuidados y decorados con gusto. 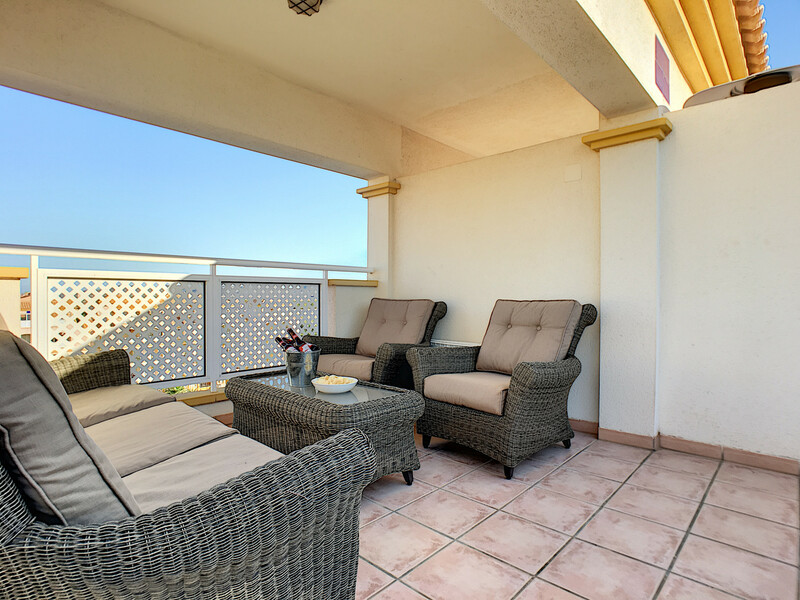 Pero lo mejor sin duda la terraza del ático, con mobiliario estupendo, completisimo de sillas, tumbonas, barbacoa, etc. 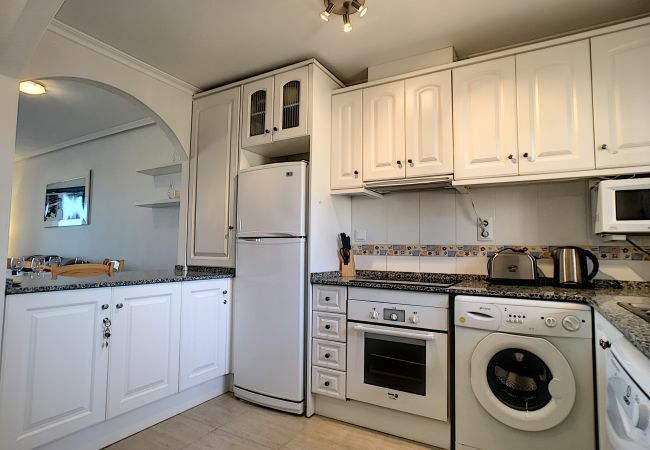 La salida del apartamento es demasiado pronto para un alojamiento de vacaciones.